"It's never too late to find your missing person." That's the message Melissa Pouliot has for suffering families after her missing cousin, Ursula Barwick, was recently found following a 30-year search. 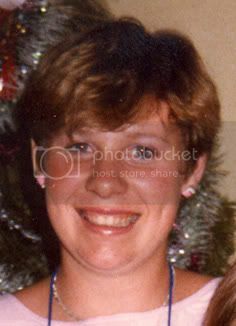 Ursula, aged 17, had died in a car accident on the Hume Highway, near Tarcutta, in 1987, only weeks after she went missing. Ursula had been living in Sydney under a new name, Jessica Pearce, and it was that name her new friends provided to investigators after the crash. The authorities failed to track down her family and Ursula was buried in Emu Plains cemetery under the name of Jessica, where she lay undiscovered until Ms Pouliot re-sparked the search. The Merimbula-based author wrote the crime fiction novel, Write About Me, as a way to honour Ursula's memory, but it created the momentum that saw the case reopened by police and Ursula found. Ms Pouliot chronicled this journey through a series of novels and last week unveiled her fifth, Found, which was launched in Canberra. Ms Pouliot will launch Missing Persons Week 2017 – the annual national campaign to raise awareness of the issues and impacts surrounding missing persons – in the Bega Valley this week. The theme of this year's campaign is "Still waiting for you to come home". Like Ursula, 25,000 of the 38,000 people reported missing in Australia each year are under the age of 18. Teens aged between 13 and 17 are six times more likely to go missing than the rest of the Australian population. Young women are the most susceptible. While the majority of missing people are found within a short period of time, there are more than 2000 listed as long-term missing, which means they have been missing for more than three months. Australian Federal Police Commissioner Andrew Colvin said for every missing person there were family, friends and colleagues left behind, still waiting for them to come home. He said, in some circumstances, disappearing might be viewed as the only option to escape a bad situation, but in some extreme cases, a young person might have become a victim of crime. Commissioner Colvin said young people went missing for a range of reasons, including miscommunication, misadventure, or because of a misunderstanding. While Ursula has been found, the police case finally closed, and a memorial held at the Emu Plains Cemetery earlier this month, Ms Pouliot said the family's quest continued. "The long journey of her death is not over yet," she said. "We are still trying to join dots that connect Ursula and the fictional character of Jessica Pearce, who she created for her new friends in Sydney." The details and circumstances of Ursula's death are now with the NSW Coroner. Ms Pouliot said she hoped for clear answers to the many unanswered questions. But she said Ursula had left a clear legacy for the families and friends of missing persons. "[Ursula's] legacy, the thing that will inspire others for many years to come, is that it is never too late to find your missing person." To view Australia's national register of missing persons, visit the National Missing Persons Coordination Centre website at www.missingpersons.gov.au, where information about support services across Australia can also be found. Anyone with information relating to a missing person is urged to contact their local police or Crime Stoppers on 1800 333 000.